Global satellite communication system was conceived in the Motorola Company in the 80s. In 1990, officially announced the beginning of work. 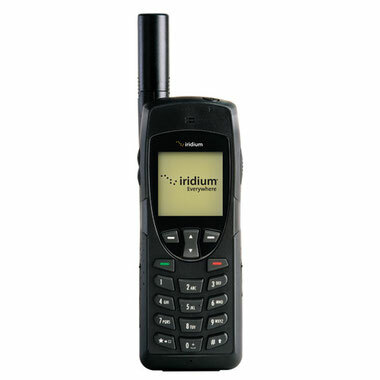 In 1991, the company was founded Iridium Inc. The name of the system was due to the fact that originally it was planned to create a constellation of 77 satellites. This number is equal to the atomic number of iridium. In January 1993, in accordance with Presidential Decree, one of the investors in the project was the State Space Center. Khrunichev. EGC obtained the rights to 5% of the shares, investing about $ 82 million. EGC also received exclusive rights to provide Iridium services in Russia and the CIS, which has built a gateway near Moscow (now closed down). In 1997-1998. came the launch of the main body of the satellite, to ensure the efficiency of the system. The first call in the system was the summer of 1997. September 23, 1998 the system was officially put into commercial operation. August 13, 1999 Iridium Inc. company management declared bankruptcy. The reason for bankruptcy - an extremely low sales that do not provide access to the payback even in the long term. The reason for the failure of the sales call unreasonably high tariffs (several times the tariffs already existed at that time Inmarsat satellite telephony), incorrect assessment of the market volume and the underestimation of cellular proliferation. Partial operation is maintained until March 2000 , followed by Motorola started to develop a set of satellite orbit plan, which would cost $ 40 million. In 2000, the newly formed company Iridium Satellite LLC buys all the assets of Iridium Inc for $ 25 million, with an agreement of service with the US Department of Defense and obtained permission of the court, leading the bankruptcy case. The contract with the US Department of Defense to 2 years of service was $ 72 million (with operating costs of $ 7 million per month). Commercial operation resumed March 28, 2001. In 2009, the reorganization takes place, resulting in the control system, sales and service transferred to the new company Iridium Communications Inc.
Shares of the corporation Iridium Communications Inc., formed by the merger GHL Aquisition Corp and Iridium Holdings LLC in September 2009, are traded on the NASDAQ stock exchange. 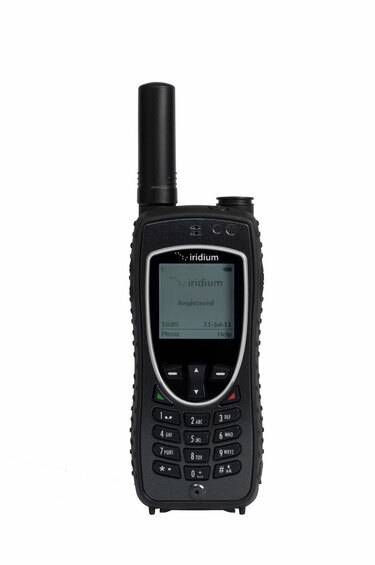 At the end of 2009, Iridium's network consisted of about 400 000 subscribers, and in late 2011 the company celebrated the appearance of 500,000 th customer, who included employees of large corporations in the world working in the field of mining, marine, land and air transportation, construction, tourism, other industries and services, rescue and emergency care. One of the largest network of users is also the US government. Commercial products and services Iridium bring about 80% of revenue and are available in more than 100 countries of the distribution network, which includes more than 60 service providers, 130 authorized resellers and 45 vendors of hardware and software. 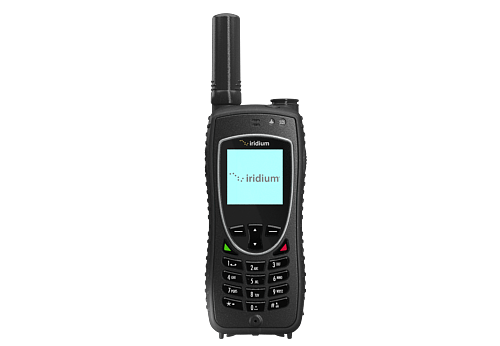 Iridium Communications produces and sells a variety of devices for voice and high-speed data transmission in the Iridium network, including the flagship models of satellite phones Iridium Iridium 9505A and 9555, modems and Iridium 9522A Iridium 9522B devices and automatic data exchange (M2M) Iridium 9601 and Iridium 9602. Also, in 2008 the company announced the start of commercial operation and sales of Iridium OpenPort terminal system that provides high-speed data transfer and high-grade telephone service for maritime transport. In 2015-2017, it is planned to deploy the updated constellation Iridium NEXT satellites of the 66 new models, worth about $ 3 billion. satellite launches planned by a Dnepr carrier rocket in October 2015 (2 unit) and pH 7 SpaceX Falcon-9 (in each - for 10 satellites), but were moved to a minimum of 4 months.